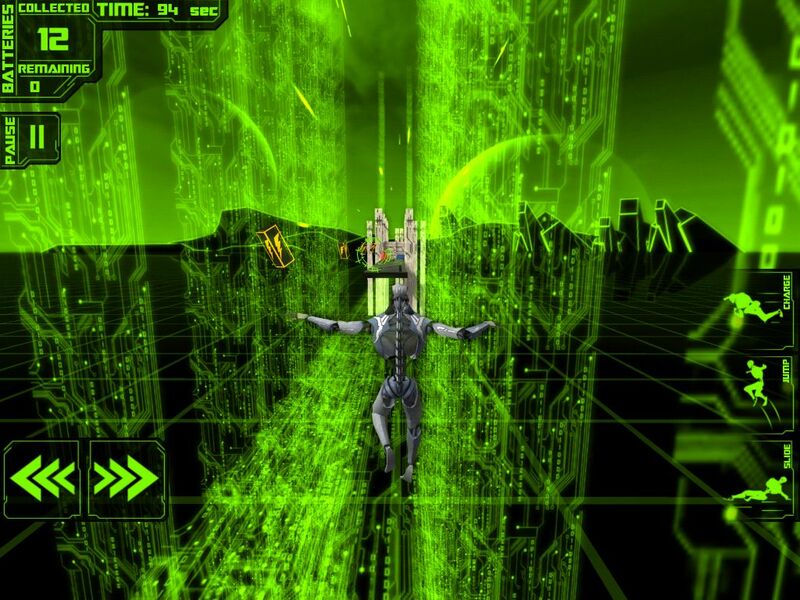 It’s time to take to cyberspace and make your way through the lanes of the virtual world. Also you’re a robot. Collect batteries, dodge obstacles and enjoy the techno beats. Race to the end and test your metal. At least that’s what the description says. In all honesty though, you’re a sprinting robot, what more story do you need? Run, rush, haste, burst, jump, charge, dodge, slide. Pretty much sums it up. 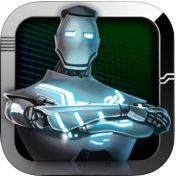 In game, you take control of a nameless robot who runs ever forward in order to collect precious batteries for non-descript purposes. But when do games ever make anything easy? Naturally on your straight line sprint, you’ll run into a number of obstacles designed to impede and destroy our precious robot runner. Not sure what construction was thinking because the pathway your robot follows is littered with walls of varying sizes. Of course, hitting a solid wall at high speed hurts and results in existence failure. So watch out. Luckily, the robot has a few options available to dodge sudden death. One of the more fragile material, glass barricades can be decimated via use of the charge function, granting a short and intense burst of speed. This also aids in bettering your overall time for the course. In regards to the more solid obstacles, the option may present itself to poweslide underneath it. If the wall is short however, you can simply jump over it. Dangerous chasms also present a hazard, luckily the game includes a double jump function. That being said, some of the larger jumps require maximum air time, thus forcing you to time your jumps well. Using these skills, you can choose the path of least resistance as occasionally levels will present you a divergent path. Some have more jumps, others take it slow with long stretches of track. Your choice. Plus, the game has checkpoints so if you choose wrong you don’t have to start over completely. A very helpful mechanic. The game itself also includes a few different game modes. The core type, of course, revolves around you running to the end of the course, collecting batteries along the way. In this mode you are able to jump, charge and slide, dodging obstacles and turning freely. 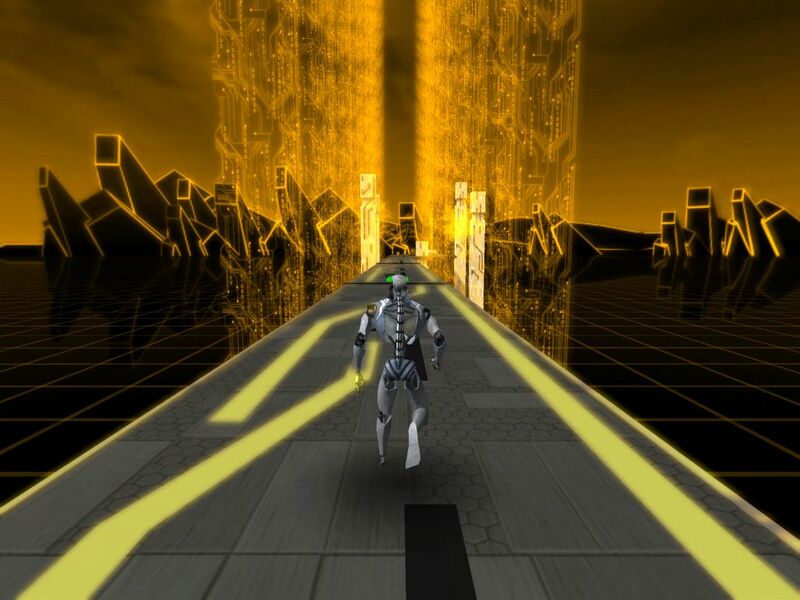 The second mode provides you with the same abilities, but limits your side to side movement into three lanes. This limitation actually helps to an extent, as it removes the dangers of free turning, which becomes increasingly difficult as you build up speed. 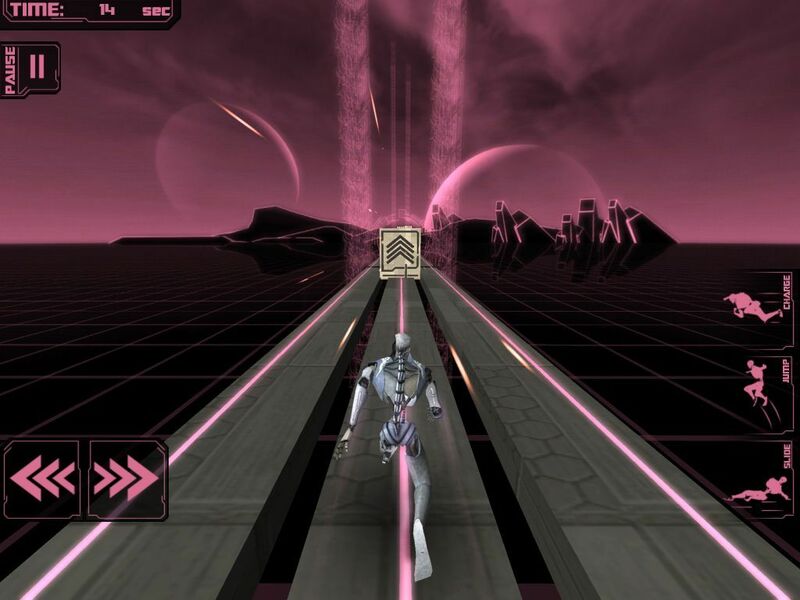 The third game type throws you into a straight run with a series of arrows lining the track. The goal of this game type is to activate a speed increase whilst over a green arrow, which are positioned between red and yellow arrows. Timing is key, the closer to the green arrow, the faster you become, allowing you to complete the course with a better time. Finally, the game grants unto us an Endless Mode. This mode, which I’m sure you’ve guessed, never ends. Run, be free. Go faster and faster until you run into a wall and explode…it’s more fun than I’m making it sound. Enjoy the action with friends, splitscreen means twice the running and crashing…again, still fun. The soundtrack is chock full of techno music, which is fitting given the cyberspace setting and robot. The music is also pretty varied for an iOS game, containing about fourteen different tracks. This keeps you from hearing the same exact tune over and over again, which can be a problem in these simple objective games. Another nice little touch is the sounds that the robot itself makes. Whilst it isn’t overly loud compared to the soundtrack, if you pay attention you can hear the robot’s joints move as he runs, jumps and slides. Another small distraction that prevents the game from being boring and makes it feel complete. 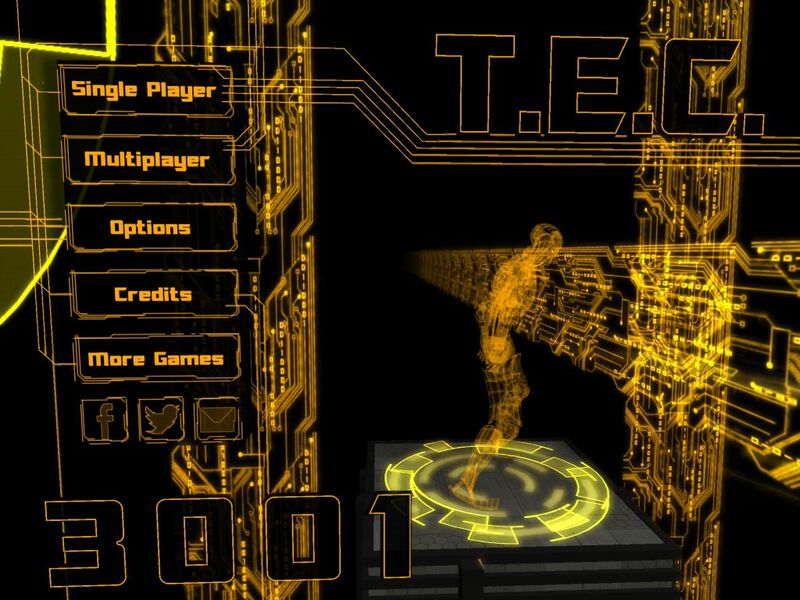 T.E.C 3001 yet another simple, easy to enjoy runner game. The courses themselves are fairly long, though the checkpoints serve to break up the levels and prevent them from becoming too frustrating. The game also provides a fair amount of variation in the levels, though in the end each mode boils down to running. Whilst the controls themselves are simple learning the exact placement of buttons is important, as looking away from the track probably won’t end well. Enjoy the splitscreen multiplayer and race your friends, or enemies, whatever. Run, jump, slide, charge and enjoy.